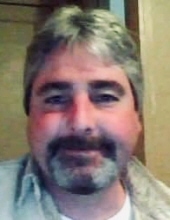 William Lee “Billy” Reagan, 48 of Herrin, passed Sunday, January 27, 2019. Billy worked as a self-employed carpenter in the construction industry. He was a graduate of Herrin High School and a member of Hurricane Memorial Baptist Church in Herrin. Billy was born March 3, 1970 in Herrin, IL to Charles W. “Chuck” and Loretta (Hardcastle) Reagan. Surviving are his parents, Chuck and Loretta Reagan of Herrin; two sisters and a brother-in-law, Kimbra and Jett Crouse of Herrin, Debra Cole of Herrin; nieces and nephews, Sarah, Elijah, Emma, Andrew, Johnathan, Rebekah, David, Cassandra and Grayce; great nieces and nephews, Isaiah, Gwyneth, Chloe, Josiah, Caleb and Kayana and many cousins. Graveside services will be 12:00 noon on Friday, February 1, 2019 at Herrin City Cemetery with Rev. Don Colson officiating. A time of visitation will be from 10:00 a.m. until 11:45 a.m. Friday at Meredith-Waddell Funeral Home. Memorials donations are suggested and may be made to the family to assist with final expenses. To send flowers or a remembrance gift to the family of Billy Reagan, please visit our Tribute Store. "Email Address" would like to share the life celebration of Billy Reagan. Click on the "link" to go to share a favorite memory or leave a condolence message for the family.